Nearly 2,000 people around the world work for GIA. Some are expert gemmologists and researchers who are dedicated to the study, grading and identification of gemstones. Some are student-focused educators who are committed to teaching about gems, jewellery and the industry. The rest are highly skilled professionals representing almost every aspect of the business world. This diverse and highly talented group works as a team to fulfil GIA’s mission to protect the public by setting and maintaining universal standards for gemstone evaluation. 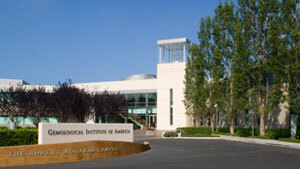 GIA has offices, laboratories and educational sites in 14 countries around the world, with its global headquarters in Carlsbad, California. GIA offers competitive salaries, benefits and training opportunities to its employees in all our global locations. Interested in joining the GIA Team? We invite you to review our current career opportunities below. Details on how to apply are included in each job description. We appreciate your interest in working for GIA. Some $61.9 billion worth of gems and jewellery were sold in the United States in 2012, accounting for 37% of global sales and making it the largest market for these goods. The U.S. is also home to the stunning Robert Mouawad Campus at GIA Carlsbad and the bustling GIA New York. So earning a GIA diploma from either of these storied institutions readies you to succeed on the world’s biggest stage. Botswana’s economy is booming, in no small part because of the diamond trade. 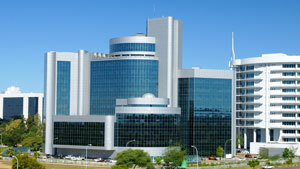 GIA is in the center of the excitement, offering lab services in the fast-growing city of Gaborone, the nation’s capital. A highlight every tourist should see: Chobe National Park, home to the largest herd of African elephants and other endangered wildlife. Belgium gave birth to some of the greatest European painters: Rubens, Breughel, van Dyck. 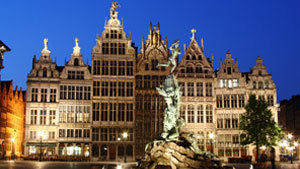 And Antwerp, one of its largest cities, gave birth to another kind of beauty: it’s Europe’s diamond center. GIA has a cutting-edge research lab tucked away on one of its medieval streets. 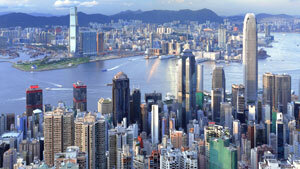 Hong Kong is a vibrant fusion of cultures and traditions. It offers gourmet restaurants, great shopping and rich culture. As the gateway to mainland China and one of the world’s most important financial centres, Hong Kong plays a central role in the gem and jewellery industry. And GIA’s campus is located in the heart of the city’s financial and jewellery centre. With an estimated population of 21 million, Mumbai is India’s commercial and entertainment centre – and home to five of the Fortune Global 500 companies. Located on India’s west coast, Mumbai’s ports see more than half of India’s maritime cargo. It’s no surprise that Mumbai is the hub of India’s gem and jewellery industry – and GIA’s campus is located in the centre of it. Home to one of the most robust economies in the world, an entrepreneurial culture and of course, countless historical sites, Israel attracts visitors from around the world. It also is home to a thriving gem industry and GIA has a lab in the heart of it at Ramat Gan. Study in one of the most populous metropolitan areas in the world, buzzing with nightlife, activity, culture and history. Tokyo is home to the Japanese Government, the Imperial Palace and GIA’s campus, which is located in the heart of Tokyo’s jewellery district. Or you can choose to learn gemmology at GIA’s campus in Osaka, the jewellery business centre of Western Japan. 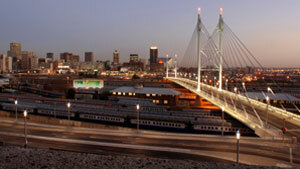 Johannesburg is a city on the rise: dynamic, growing and alive. It’s also a city for doing business and you’ll find a GIA lab in the midst of it all. A jaunt from Johannesburg is KwaZulu-Natal, a stunningly beautiful province that boasts towering mountains and pristine beaches. Kruger National Park is the place to go to see buffalos, elephants, lions, leopards and rhinos. GIA Taiwan is located in Taipei, Taiwan’s center of political, commercial and cultural activity. 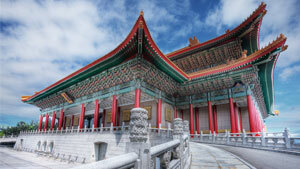 Taipei boasts museums, monuments and theatres. Known for its bustling nightlife, Taipei also offers world-class entertainment and shopping. 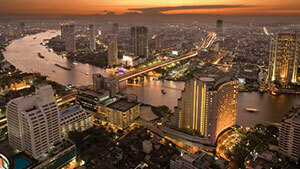 For more than 200 years, Bangkok has been the political, social, and economic centre of not only Thailand but also of South East Asia and Indochina. Bangkok – home to GIA’s campus – is the world’s ruby and sapphire capital, and is a major gem cutting and jewellery manufacturing centre. 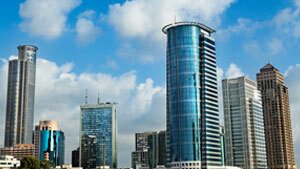 The United Arab Emirates sits atop some of the world’s largest oil and natural gas reserves. That’s made it one of the wealthiest nations in the world and those riches are on display in Dubai. The coastal city is home to some of the most stunning architecture in the world, man-made islands, indoor skiing and other marvels. GIA has a regional branch in this futuristic metropolis. Located in Bloomsbury, one of central London’s most vibrant and accessible areas, GIA London sits between the Hatton Garden jewellery district and the luxury West End stores of Bond Street. 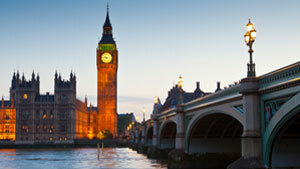 London’s population is a diverse mix of people and cultures and truly deserves the title of a world city.